Posters honouring those who died in World War II are dotting lawns in Montreal West. More than 40 posters are in front of the homes they grew up in or on lampposts along Westminster Ave. Each one has information about the person, including the school and church they attended. Robert Drummond, an emergency room doctor from Saint Mary's Hospital, started the project. “Those men were really boys, actually. They were part of the fabric of our community. They lived here. They grew up here. They played on these streets. They went to the local schools. They went to the churches. They worked here. They were an integral, vibrant part of this community,” he said. 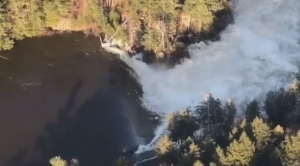 Drummond is expanding the project to include soldiers who died during World War I. He's also giving a walking tour on Saturday, Nov. 10 at 1 p.m. It leaves from Strathearn Park. 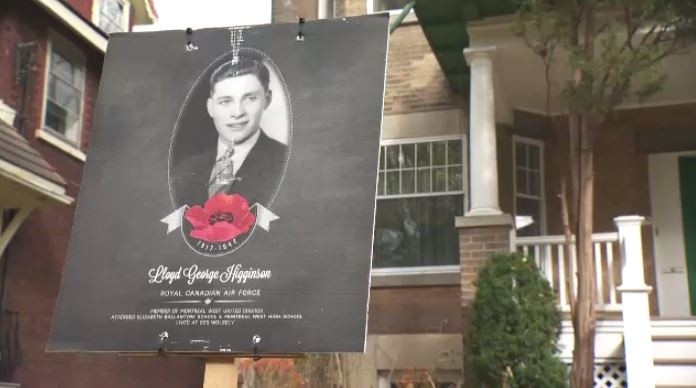 Posters in Montreal West honour fallen WWII soldiers.